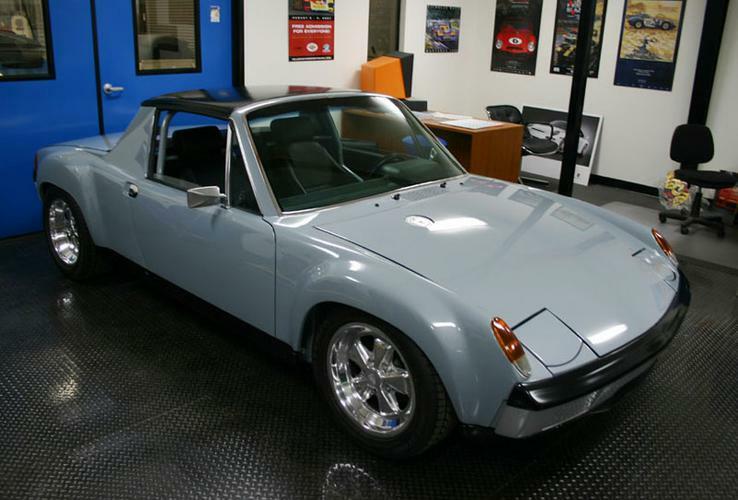 This '73 914-4 came to us from San Jose, California for the 914-6 GT conversion. 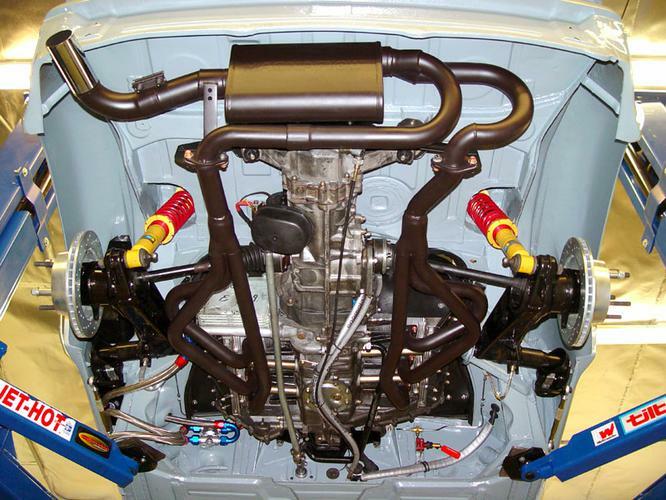 The car is fitted with a 2.7L engine 40mm Zenith carbs, a 901 side shift transaxle. 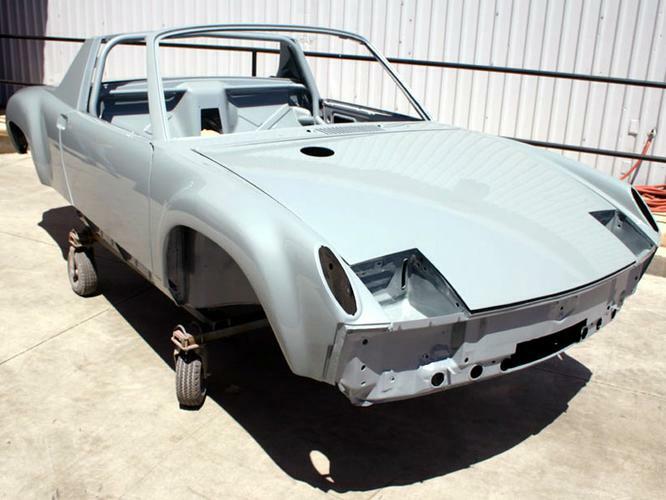 We took the car to bare metal, added steel GT flares, all 914 GT lightweight side rockers, GT front & rear valance, GT front & rear deck lids, GT front & rear bumpers, and GT engine lid. 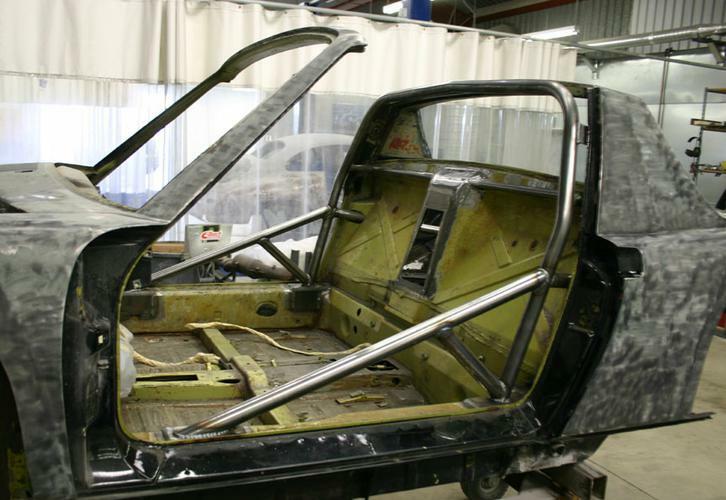 We hand built a lightweight roll cage system - all tubing is bent & fitted and is welded to re-plated areas of the chassis. 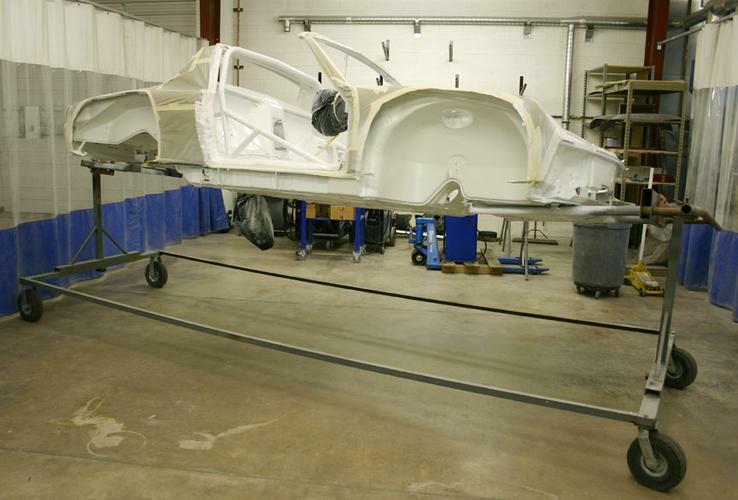 You always need to re-plate with .120 sheet metal before welding a tube into your chassis, because the o.e. 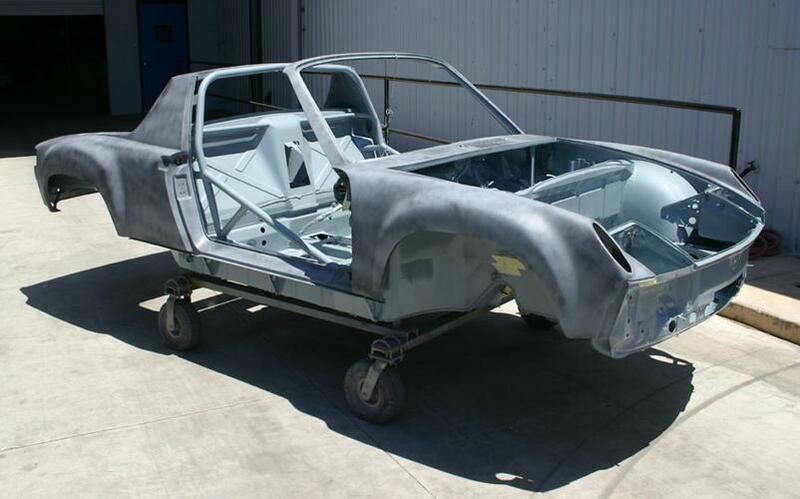 chassis sheet metal is only .070-.060 thick. 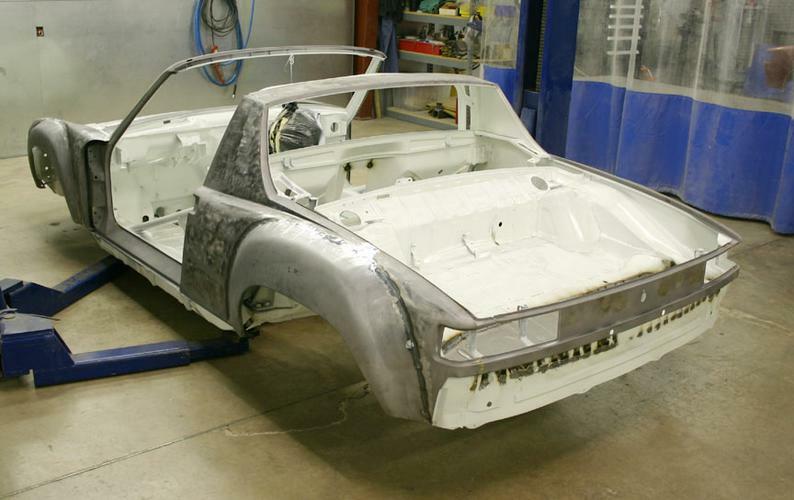 It spreads the load of the tube over the specific area of the 914 unibody chassis making a true integrity improvement. 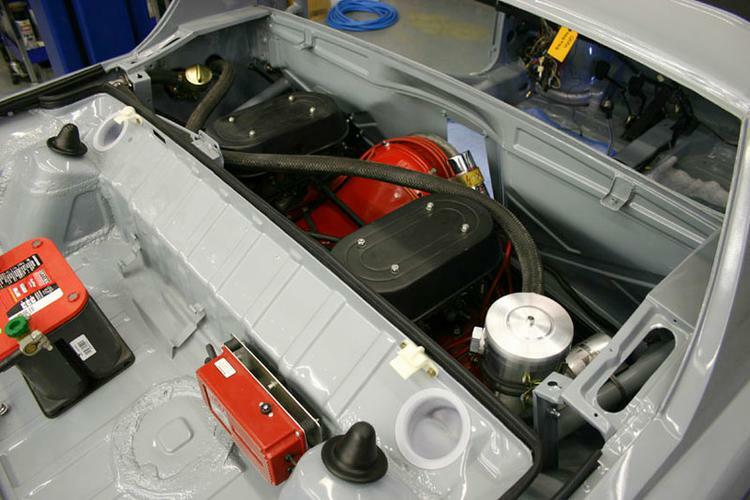 We fitted one of our EXCLUSIVE FUEL SAFE 914 fuel cells, with through hood flush mount filler cap. 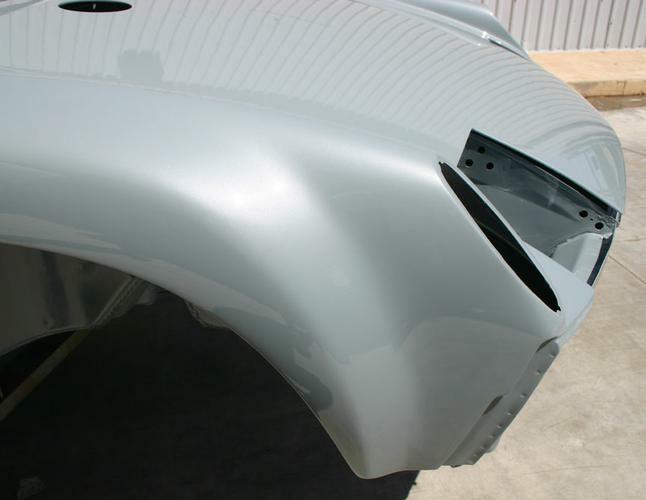 We finished the exterior in a 2004 Audi "Aviator Gray Pearl Metallic", hard to appreciate in these photos, but it looks like a blue oyster! We also fitted the rear suspension with our rear trailing arm toe rod kit. **74-89 MODELS ALSO USE: U-BRACKET ADAPTOR - SUSSBRFADP2 & NUT PLATE ADAPTOR - SUSFSB1950 THE LIGHT WEIGHT HOLLOW BARS ARE ½ THE WEIGHT OF THE 22 MM SOLID BARS WITH THE SAME STIFFNESS. THEY ARE FABRICATED FROM AIRCARFT QUALITY 4130 CHROME MOLY ALLOY STEEL AND HEAT TREATED TO MAXIMIZE STRENGTH AND RELIABILITY. THE ADJUSTABLE DROP LINK ARM CONNECTION DESIGN PROVIDES AN INFINITELY ADJUSTABLE SWAY BAR STIFFNESS RATE AND MAKES IT QUICK AND EASY TO FINE TUNE YOUR CAR’S HANDLING FOR VARIOUS TRACK CONDITIONS AND DRIVING STYLES. THEY COME WITH THERMOPLASTIC BUSHINGS IMPREGNATED WITH TEFLON AND REINFORCED WITH KEVLAR WHICH PROVIDE SMOOTH OPERATION, LONG LIFE, AND HIGH RESISTANCE TO DEFLECTION UNDER HEAVY LOADING. OPTIMIZED GEOMETRY FOR BIND FREE OPERATION THROUGHOUT THE ENTIRE SYSPENSION RANGE OF TRAVEL. 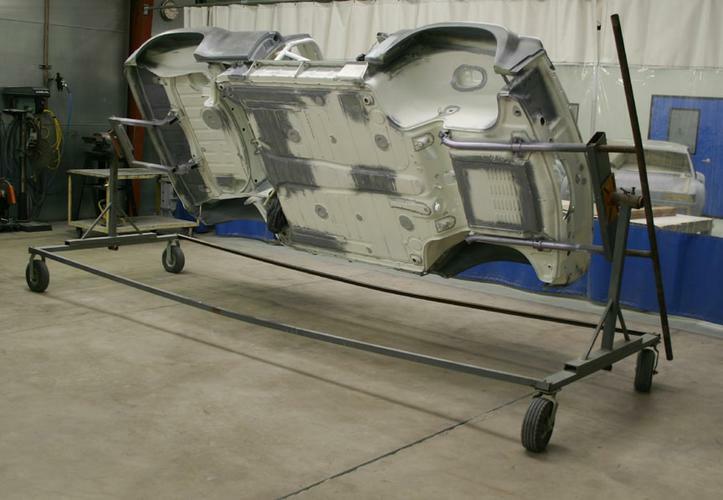 ALL COMPONENTS ARE DESIGNED AND MANUFACTURED TO THE HIGHEST QUALITY STANDARDS, RESULTING IN THE FINEST AND MOST RELIABLE SWAY BAY ON THE MARKET. When a fuel cell is wanted or required there is no finer choice than a Fuel Safe fuel cell. They are used and approved by all sanctioning bodies in every racing application from off road to Indy. If you are looking for a fuel cell, Fuel Safe should be your first and only choice! 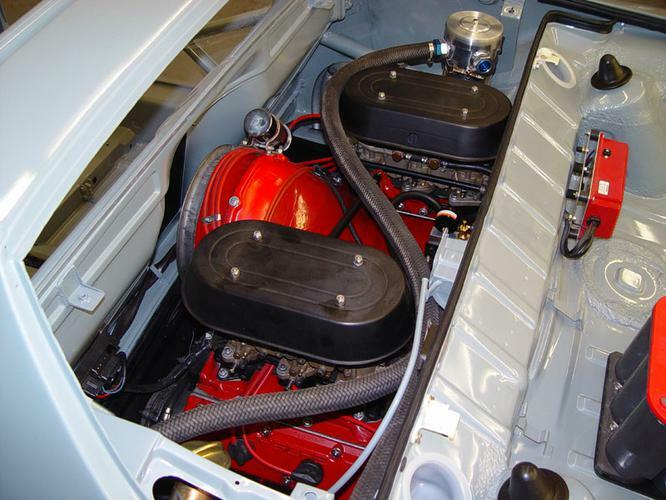 This car has our Fuel Safe Fuel Cell (part # FUE SA914FC) - PORSCHE 914 - 14 GALLON - AN-8 FEED - AN-6 RETURN - AN-8 VENT - UTILIZES THE ORIGINAL 914 FILLER NECK, SENDING UNIT AND MOUNTING HARDWARE - they come with a RED POWDER COATED FINISH. 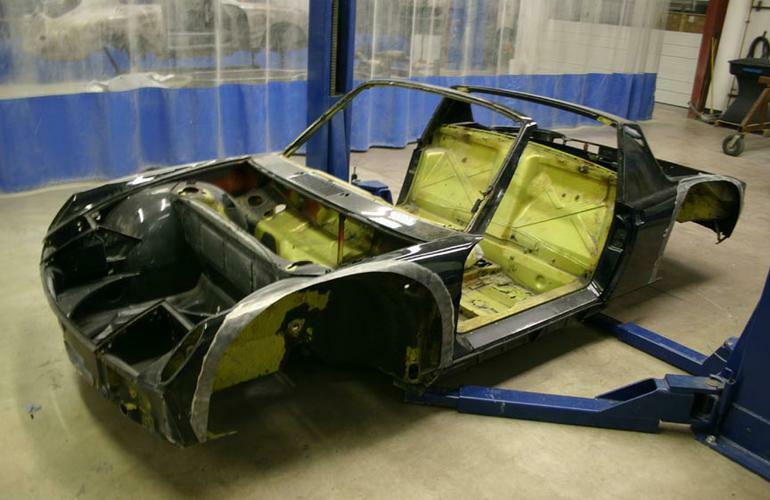 The 914 is disassembled completely and prepped for front and rear flairs. 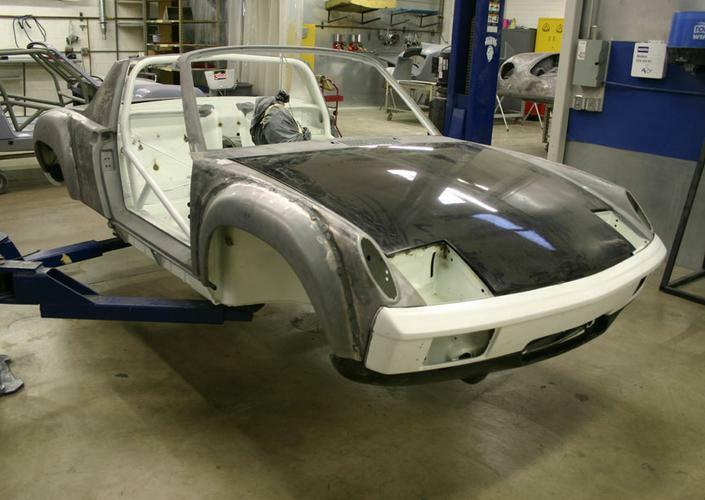 We hand fit the flairs perfectly and then completely weld them on, finished top and bottom to look like the Porsche factory installed them. 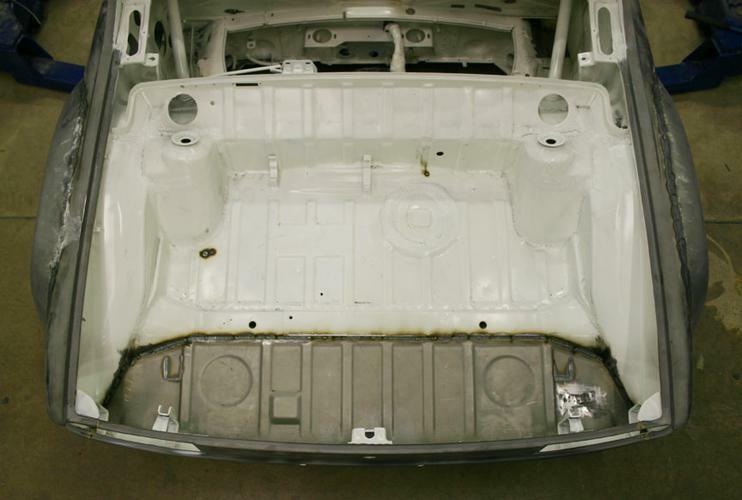 resealed and primed. 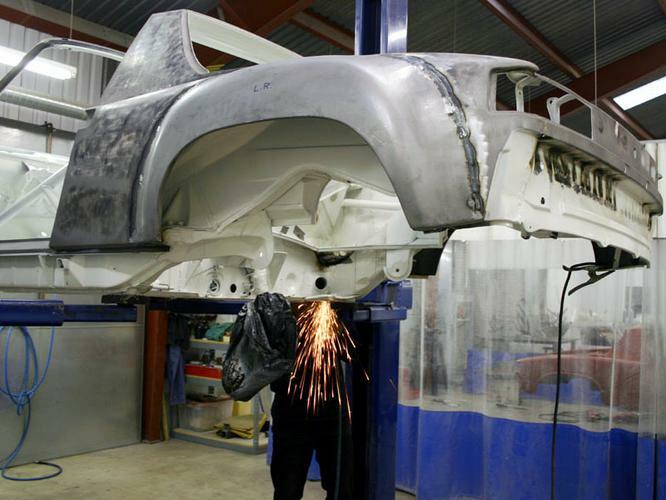 Then anything needing repair or correction can be more easily and completely handled. This is why our completed projects turn out as well as they do, we do not cut corners to complete a project or hurry the completion. 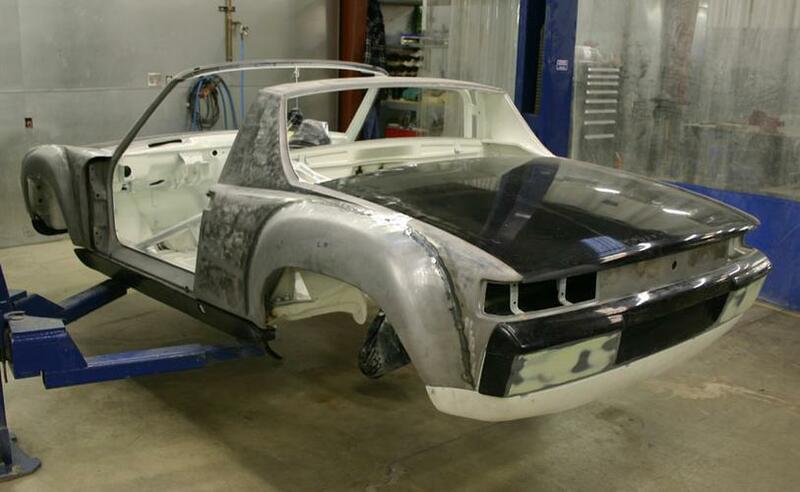 There is no other way to turn out a top quality restoration.